Where to find Governador Celso Ramos hotels near an airport? 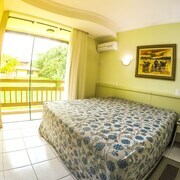 Where can I find hotels in Governador Celso Ramos that are near tourist attractions? Traveling to Governador Celso Ramos? Looking for a place to sleep? 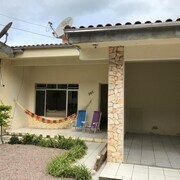 Governador Celso Ramos has about 10 places to stay within easy driving distance of the town center. 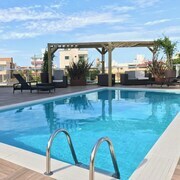 If you would like to book accommodation within 5 kilometres (3 miles) from the middle of Governador Celso Ramos, the Hotel Maranata is a good option. 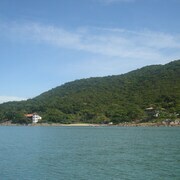 The Costao do Santinho Resort is 20 kilometres (14 miles) from downtown Governador Celso Ramos. Alternatively, the Hotel Boutique Quinta das Videiras is situated 30 kilometres (18 miles) away. 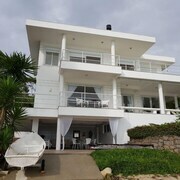 The Jurere Beach Village as well as the Das Nações Hotel are other alternative accommodation options around Governador Celso Ramos. The larger South Region region is definitely well worth discovering too. South Region is known for beaches. Commonly visited South Region visitor draws are ruins and traditional villages. 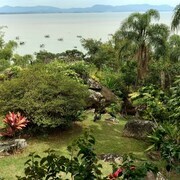 Visitors in this section of Brazil can enjoy hiking and picnicking. 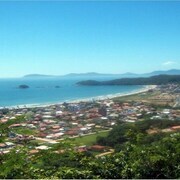 Barra Sul is 40 kilometres (25 miles) to the north of Governador Celso Ramos and is where you'll find Morro do Gaviao and Acqualandia. 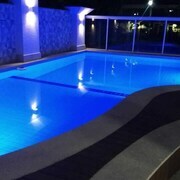 Expedia-listed Barra Sul hotels and accommodations are the Infinity Blue Resort & Spa and Hotel D Sintra. Alternatively, you could stay in Bombas, 25 kilometres (16 miles) to the north of Governador Celso Ramos, where you can pick from the Marlin Hotel and Pousada Dom Capudi. The Bombinhas Panoramic Lookout and Retreat of the Priests Beach are some of the most popular places to experience for those visiting Bombas. Why not spend a few hours hanging out with Itajai sports enthusiasts at a local game. You'll find Dr. Hercilio Luz Stadium 50 kilometres (32 miles) to the north of Governador Celso Ramos. 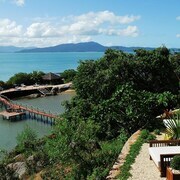 Sleep close to the action at the Sandri Palace Hotel or the Hotel Marambaia Cabeçudas. Before you pack your bags for Governador Celso Ramos, make sure you have a look through Expedia's Governador Celso Ramos travel guide where you'll be able to get the low-down on the numerous things to see and do this great destination has to offer. What are the most popular Governador Celso Ramos hotels? Are there hotels in other cities near Governador Celso Ramos? What other types of accommodations are available in Governador Celso Ramos? Explore Governador Celso Ramos with Expedia.ca’s Travel Guides to find the best flights, cars, holiday packages and more!